The log cabin at Shiloh is the setting for when Norma Jean tells Leroy that she wants to leave him. She tells him that she preferred his absences, and he tells her that they could start over again. “We have started over again…and this is how it turned out”. They are where Norma Jean’s parents eloped to, and Norma Jean is suddenly eighteen again, ruled by her mother and with a lifetime of responsibility ahead. Leroy’s retirement is a step backward for Norma Jean. The log cabin has been a symbol for someone else’s life, the same as Shiloh. The cabin is Leroy’s; Shiloh is Mabel’s. There is nothing for Norma Jean. In the end, Leroy realizes that the log cabin is a foolish idea, but for the wrong reasons. “And the great inner workings of a marriage, like most of history, have escaped him”. Instead, Leroy wants to think of some new idea. When he opens his eyes, Norma Jean is in the distance. With his bad leg, he cannot reach her. The symbolism is obvious, but effective. Norma Jean appears to be doing her exercises, as in the opening of the story. This is hers, not the cabin, and not Shiloh. A marriage spent apart is better at keeping a man and wife together than a life spent laboriously communed. The setting of the log cabin serves as a metaphor to this marriage of misery with holes burrowed into it that allow the transparency of the scenes between the couple to shine through. The setting of the town the couple lives in serves as a metaphor for the changes that have occurred in his marriage. While the story is told from the point of view of LeRoy, it is the life and leaving of Norma Jean that gives the reader insight into the desolation of the married couple. 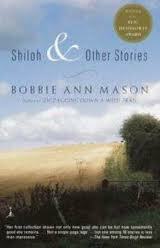 In Bobbie Ann Mason’s “Shiloh,” truck driver Leroy Moffitt, recently injured and home on a permanent basis, finds out that his wife, Norma Jean, is not necessarily the woman he thought she was. It is not that he suspects her of infidelity, but discovers there are numerous aspects of her personality and life that he was unaware of. This realization comes slowly to Leroy, who has attempted to use this crossroads in life to give his wife a gift: a gift she does not want, but he cannot see that until the end. The gift in question is a log cabin, one that Leroy wants to build from a kit, a “proper home” for the both of them. It is the setting of the Log cabin that serves as a metaphor for the marriage of Leroy and Norma Jean. One of the first things that Leroy notices is that the town itself has changed. The town’s change is a metaphor for the unseen changes that have occurred in his marriage. “Leroy can’t figure out who is living in all the new houses. The farmers who used to gather around the courthouse square to play checkers and spit tobacco juice have gone. It has been years since Leroy has thought about the farmers, and they have disappeared without his noticing” (934). The farmers are a faded past, a traditional Southern way of life that Leroy, mentally, is still a part of. His life has been one of brief visits home, and long stretches driving a truck, speeding by on the highways without having the time to stop and look around. The only person that Leroy can express this growing sense of bewilderment to is a teenaged drug dealer. “I’m aiming to build a me a log house…. My wife, though, I don’t think she likes the idea” (934). Feminist Thought - Short Story of Shiloh- Short Story of Shiloh Research Paper looks at an example of an order placed on an analysis of the novel of Shiloh. Paper Masters writes custom research papers on Setting in Shiloh is examined by our research paper writers.